Long, the soft and lustrous mane is every woman’s ultimate wish, but it is near to impossible in this modern life where our body faces the dirt, pollution, sunlight, temperature extremities, humidity, chemicals etc. almost every day during work schedules. The condition of the beautiful hairs become worse during the summer season due to heat and dryness in the environment. Covering up your hair while heading out in the sun prevent your scalp from getting dry as well as it will protect your hairs from ultraviolet rays of the sun. You can use color scarves or hats to cover them up. These accessories will enhance your fashion style statement and keep your hair protected If you have recently colored your hair or your hair tangles easily, then covering up is the best idea since it reduces the damage to hair caused by the dry winds. Keeping your hairs a little loose during summers lets your scalp and hair, relax otherwise they may break if you style them tightly in a bun due to dryness caused by the summer heat. You can keep them in a messy brain, which will reduce the exposure area under the scorching sunlight. The scalp produces natural oils which trigger more oil production and thus you feel the need of washing your hairs more often. Rinse your hairs in the shower rather than washing them to get rid of the excess oil. Replace your regular shampoo with some homemade natural one which helps in reducing the requirement of hair wash. Another home remedy to dissolve down the excess oil is dabbing your scalp with a cotton ball soaked in witch hazel. Summers has dry winds which can dry your damp hairs in no time, then why use a blow dryer. 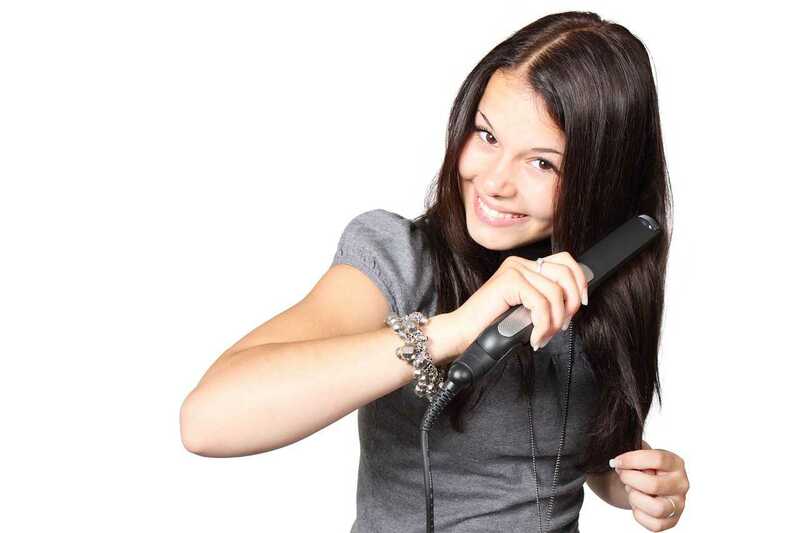 Besides that try to avoid the flattening irons because it can damage your dried hairs. Style them in a messy way since your sleek style will make that frizz of your hair stands more prominently. Yes, it is possible and in order to do that, you just have to make a natural mixture of water, avocado oil and Aloe Vera juice. Keep it in a small bottle and spritz it on your hair whenever you feel that moisture has reduced in your hairs. You can try another remedy which is a mixture of water and Argon oil. A water diluted apple cider vinegar is a quick natural conditioner, but you can use coconut and Shea butter also to moisturize your hairs after wash. It will give them shine and makes them smooth by removing frizziness. You can also try treatment for natural deep conditioning from some professional to give your hairs a bit of extra moisture. Some oil has the property to penetrate the hair shaft such as coconut, avocado, and olive oil. You can massage your scalp with warm oil after washing them with a natural shampoo and drying them. You can rinse your hairs and apply conditioner like always. It will make your hairs moisture, but not greasy. Your hairs tend to absorb less salt water or chemicals from the pool when they are drenched with clean water. In addition to that, always take a shower after taking a dip or spray your hair with clean water to get rid of hard water of the pool. Although there is hair serum to protect from ultraviolet rays, they are rich in chemicals. An easy way to apply some sunscreen is by running your hands lightly on strands of your hair after you finished applying sunscreen on your body. If you are facing hair fall problem in summers then you should apply a natural homemade hair mask to rectify this problem. It will supply the adequate proteins to your hair which makes them healthy and shiny. Egg mask is the best hair mask as it is high in Albumin, a protein which makes your hair smooth and adds shine to them. Wet hairs are more prone to breaking since they are more tangled. To remove the tangling of hairs always use a wide toothed comb instead of hair brush since it can pull and break them while wide toothed comb untangled them gently without any breakage. You can also untangle them after drying and applying some oil. Beat the heat of summer with some chic hairstyles like a high bun, side braid or slick pony with a hat or scarf.